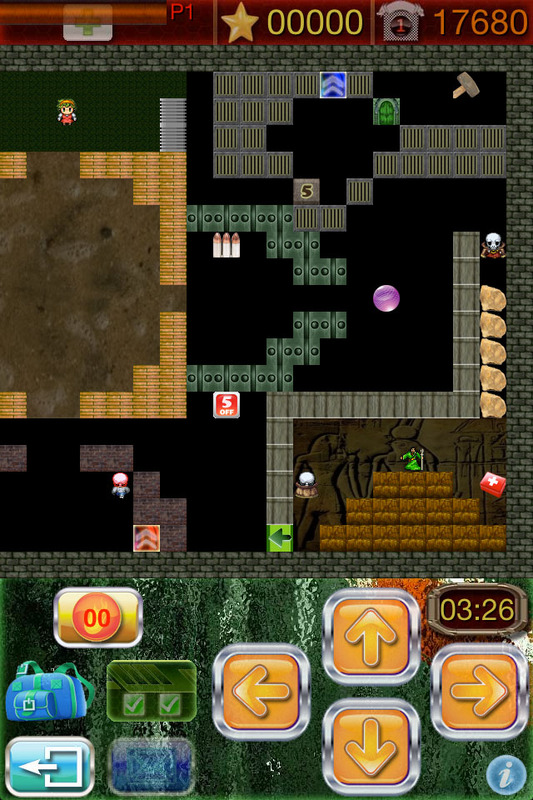 The games you can play on 'Leveldream Player' and 'Leveldream Maker' are like classic arcade 2D levels, with different elements arranged in a grid to help you, and some not so, to successfully complete your mission. You can find harmful floors, moving balls very damaging, deadly enemies (white), immortal enemies (red) and ghosts also immortals and can walk through walls, but that you can repel with shots of your weapon. But not everything is running and killing, you must find keys to open doors, touch springs to move blocks, tele-transportation, rocks that block your way, you must cut fences, deactivate mines and cut dense vegetation with your bowie knife. That all this doesn't distract you from your primary mission, completing all the objectives that you find around the map, to open the exit of the level. But you're not alone in such risky missions. 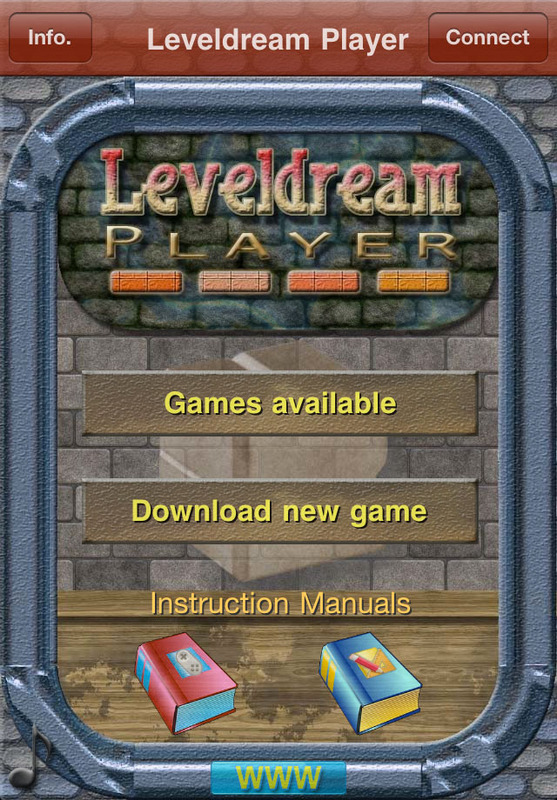 'Leveldream' features 5 game modes, including a co-operative mode to help you successfully complete the levels with the help of a fellow player from another iPhone, iPod touch or iPad. All this and a few more surprises await you in these funny levels of skill and intelligence. 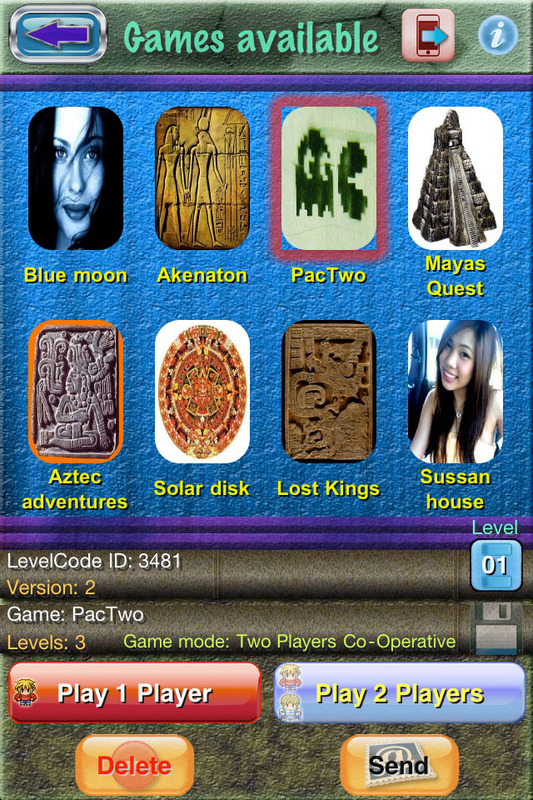 - Allows you to play games created with the application 'Leveldream Maker'. - Compatibility with iOS4 multitasking. - Allows to download new games for free from Internet. - Allows you to modify the games downloaded from Internet. - Allows you to send by eMail created games or downloaded games, in a single ZIP file so that you can share on Internet. - Allows to share your entire library of 'Leveldream' games with another person who has a copy of 'Leveldream Maker' or 'Leveldream Player'. - Five game modes: One Player, Two Players Co-operative, Two Players Death Match, Two Players one objective and Two Players max objectives. - Multi-player game modes, through WiFi or Bluetooth. 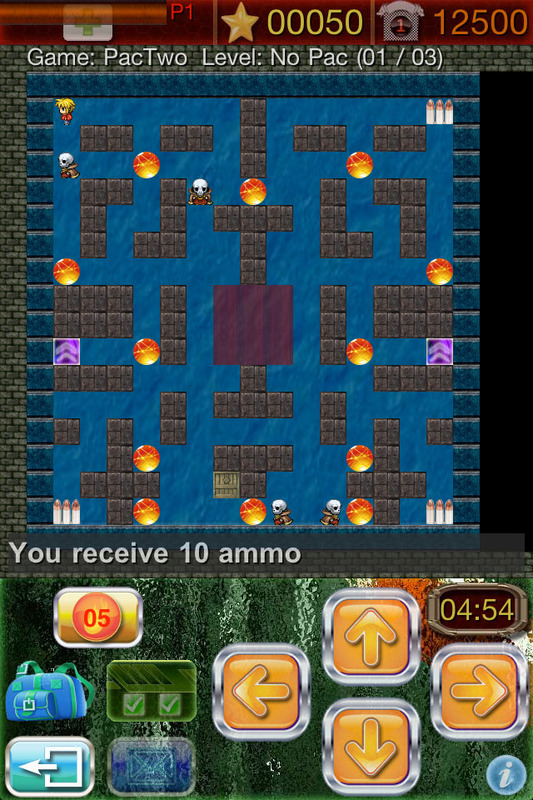 - Players have weapons to fight each other or to eliminate the enemies of the game. - Allows to send text messages to the other player.